COURTING THE MILLENNIALS - is it the solution to the truck driver shortage? - DriverSource, Inc. When thinking about the current driver shortage plaguing the industry, I sometimes reflect on those Economic 101 classes I attended in college. Certainly, the principles of supply and demand are playing out. 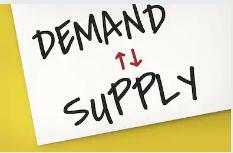 There is a shortage of supply (drivers) available to meet the demand (of commerce). This is resulting in rising freight costs and retail prices. It’s leading to shipping delays and shortages at stores. At DriverSource, we realize recruiting has become the mantra of fleet owners everywhere. They appreciate it when we can smoothly and seamlessly handle their recruiting headaches. That’s because they really want to just focus on the business of hauling freight. Regardless, there are many managers engaged in constantly recruiting. Many solutions are being tried in an effort to alleviate the shortage. Fleet managers are using various techniques to improve driver retention and solve the driver shortage, e.g., increasing driver pay, sign-on bonuses, setting clear expectations, refining the driver recruitment process, initiating performance-based incentive, etc. Other experts would advise such solutions as decreasing time on the road, lowering the regulated driving age, targeting minorities, women and veterans, Autonomous Trucking, and replacing FTL with more LTL. Is the best solution one that involves a better understanding of the current workforce demographics? Gen X are those 69 million babies born between 1965 and 1984 and their numbers represent twelve percent fewer than the aging generation of baby boomers now retiring from the workforce. His belief is that it’s this shallow labor pool that is exacerbating the current driver shortage. Generation Y will fill the “population hole”. Convincing Millennials that truck driving is a great occupation is key. Recruitment has to be focused on the things that this group values. Online branding should emphasize safety scores, compliance metrics, company’s safety standards, commitment to service, and how the industry positively impacts other sectors of the economy. Paid time off (Use ELDs with performance-tracking features to initiate such programs). Open communication is encouraged between every member of your fleet. Mentorship programs for new hires – it makes Millennials feel valued, reduces churn and improves retention. An active feedback system – it helps Millennials know their opinions are being valued. In summary, solving the driver shortage should include rethinking your driver recruitment process and formulating strategies that are appealing to Millennials.